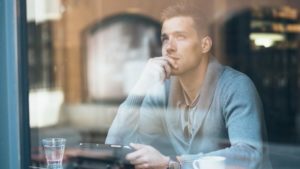 Reduce Mind Wandering with Mindfulness Training Including both Attention and Acceptance Training. We spend a tremendous amount of waking time with our minds wandering and not on the present environment or the task at hand. We daydream, plan for the future, review the past, ruminate on our failures, exalt in our successes. In fact, we spend almost half of our waking hours off task with our mind wandering. Mindfulness is the antithesis of mind wandering. When we’re mindful, we’re paying attention to what is occurring in the present moment. In fact, the more mindful we are the less the mind wanders and mindfulness training reduces mind wandering. You’d think that if we spend so much time with the mind wandering it must be enjoyable. But, in fact research has shown that when our minds are wandering we are actually less happy than when we are paying attention to what is at hand. There are times when mind wandering may be useful, especially in regard to planning and creative thinking. But, for the most part, it interferes with our concentration on the present moment and what we’re doing and makes us unhappy. There is evidence that mindfulness training produces a reduction in mind wandering. Mindfulness training, however, is complex; containing a number of skills including attention training and also acceptance training. It is not known which component or the combination is necessary for the reduction in mind wandering. In today’s Research News article “Brief Mindfulness Meditation Training Reduces Mind-Wandering: The Critical Role of Acceptance. Emotion.” (See summary below or view the full text of the study at: https://www.ncbi.nlm.nih.gov/pmc/articles/PMC5329004/ ), Rahl and colleagues recruited participants aged 18-30 years from a university community and randomly assigned them to one of four conditions; attention monitoring-only mindfulness, attention monitoring + acceptance mindfulness, relaxation training program, or listening to neutral reading material in a reading control condition. All training occurred on 4 consecutive days for 20 minutes each and employed pre-recorded trainings. Participants were measured before and after the brief trainings for mindfulness, training expectancy, and sustained attention. They found that the monitoring + acceptance mindfulness group had significantly longer sustained attention, suggesting less mind wandering, than the other three groups. Hence, both attention training and acceptance training in combination are necessary for mindfulness training to reduce mind wandering. In other words, participants need to practice both focusing their attention and also accepting things as they are in order to reduce the likelihood of the mind wandering away from the present moment or the task at hand. This is a bit surprising as it would seem logical that training attention would be the key to restricting mind wandering. But, that was not the case. It was necessary that the individual needs to learn not to judge their experience to reduce mind wandering. This suggests that the process of judging experience takes mental activity that is not focused in the present moment and hence tends to elicit mind wandering. So, reduce mind wandering with mindfulness training including both attention and acceptance training. Mindfulness meditation programs, which train individuals to monitor their present moment experience in an open or accepting way, have been shown to reduce mind-wandering on standardized tasks in several studies. Here we test two competing accounts for how mindfulness training reduces mind-wandering, evaluating whether the attention monitoring component of mindfulness training alone reduces mind-wandering or whether the acceptance training component is necessary for reducing mind-wandering. Healthy young adults (N=147) were randomized to either a 3-day brief mindfulness training condition incorporating instruction in both attention monitoring and acceptance, a mindfulness training condition incorporating attention monitoring instruction only, a relaxation training condition, or a reading control condition. Participants completed measures of dispositional mindfulness and treatment expectancies before the training session on Day 1 and then completed a 6-minute Sustained Attention Response Task (SART) measuring mind-wandering after the training session on Day 3. Acceptance training was important for reducing mind-wandering, such that the monitoring + acceptance mindfulness training condition had the lowest mind-wandering relative to the other conditions, including significantly lower mind-wandering relative to the monitor-only mindfulness training condition. In one of the first experimental mindfulness training dismantling studies to-date, we show that training in acceptance is a critical driver of mindfulness training reductions in mind-wandering. This effect suggests that acceptance skills may facilitate emotion regulation on boring and frustrating sustained attention tasks that foster mind-wandering, such as the SART. You’d think that if we spend so much time with the mind wandering it must be enjoyable. But, in fact research has shown that when our mind is wandering we are actually less happy than when we are paying attention to what is at hand. There are times when mind wandering may be useful, especially in regard to planning and creative thinking. But, for the most part, it interferes with our concentration on the present moment and what we’re doing and makes us unhappy. Hence, it makes sense to study the relationship of mindfulness to mind wandering and negative emotions. In today’s Research News article “Does Mind Wandering Mediate the Association Between Mindfulness and Negative Mood? A Preliminary Study.” (See summary below). Wang and colleagues recruited meditation naïve college students. They completed measures of mindfulness, positive and negative moods, and mind wandering during a 15-minute breath following meditation period. Correlations and sophisticated mediation model analysis were conducted on the students’ responses. They found that the higher the levels of mindfulness the higher the levels of positive emotions and the lower the levels of mind wandering and negative emotions. Hence, more mindful students had more positive and less negative emotions and less mind wandering. The mediation analysis revealed that mind wandering partially mediated the relationship between mindfulness and negative emotions but not positive emotions. In other words, mindfulness was directly related to less negative emotions and also indirectly by being related to less mind wandering which in turn was related to less negative emotions. This is a correlational study, so no conclusions can be reached about causation. But there is evidence from other studies that mindfulness training improves mood. So, it is likely that mindfulness caused the greater positive emotions and lower negative emotions in the students in this study. These are interesting results that add to the understanding of how mindfulness affects human emotions. They show that mindfulness influences mood directly and also improves negative mood via reduced mind wandering. So, reduce mind wandering and negative mood with mindfulness. The aim of this study was to assess the relationship between trait mindfulness and mood and to examine whether the relationship is mediated by mind wandering. Eighty-two individuals (M age = 24.27 years, SD = 5.64, 18 men, 22%) completed a series of measures including the Five-Facet Mindfulness Questionnaire, the Profile of Mood States Questionnaire, and Meditation Breath Attention Exercise. Results showed that the level of mindfulness was significantly correlated with positive and negative mood, and the association between mindfulness and negative mood was mediated by mind wandering. This study indicated the important role of mind wandering in the relation between mindfulness and negative mood. Limitations and future research directions are discussed. Four types of meditation are the most commonly used practices for research purposes. In body scan meditation, the individual focuses on the feelings and sensations of specific parts of the body, systematically moving attention from one area to another. Loving kindness meditation is designed to develop kindness and compassion to oneself and others. The individual systematically pictures different individuals from self, to close friends, to enemies and wishes them happiness, well-being, safety, peace, and ease of well-being. In focused attention meditation, the individual practices paying attention to a single meditation object, learns to filter out distracting stimuli, including thoughts, and learns to stay focused on the present moment, filtering out thoughts centered around the past or future. On the other hand, in open monitoring meditation, the individual opens up awareness to everything that’s being experienced regardless of its origin. These include bodily sensations, external stimuli, and even thoughts. The meditator just observes these stimuli and lets them arise, and fall away without paying them any further attention. Kok and Singer examine the similarities and differences between the effects of body scan meditation, loving kindness meditation, focused attention meditation, and open monitoring meditation. They recruited normal adults aged between 20 to 55 and randomly assigned them to three different orders of conditions in a complex research design. Training in each meditation type was conducted for 13 weeks, including a 3-day retreat at the beginning. The participants reported daily on their feeling states, contents of thought, meta-cognition, and 2 minutes of free writing about their thoughts and feelings. All four meditation practices contain a component of focused breathing meditation, so it’s effects can’t be separated from the other three types. They found that all four meditation practices, consistent with the published literature, produced significant increases in positive feelings, focus on the present moment, and body awareness and decreases in mind wandering. There were also considerable differences in the effects of the meditation practices. Body scan meditation, not surprisingly, produced the greatest increase in body awareness and the greatest decrease in thoughts about past, future, and others, and negative thoughts, in other words less mind wandering. Loving kindness meditation produced the greatest increase in positive thoughts and warm feelings about self and others. Open monitoring meditation produced the greatest increase in thought awareness and decrease in distraction by thoughts. These outcomes are consistent with the targeted contents of the practices. It appears that all meditation types have very positive consequences for the practitioner and at the same time each has its own strengths. These strengths then can be taken advantage of to affect targeted issues for the practitioner. 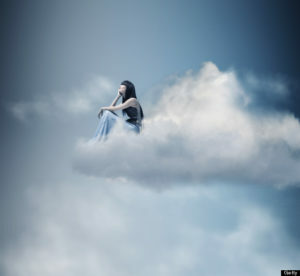 If the problem with the individual is a lack of body awareness then body scan meditation is called for, if it’s negative feelings about self and others, then loving kindness meditation would be best, while if it’s with meta-cognition such as awareness of thoughts, then open monitoring meditation should be the choice. In this way meditation practice, can have even greater benefit for the individual. Regardless, improve well-being with meditation. Despite increasing interest in the effects of mental training practices such as meditation, there is much ambiguity regarding whether and to what extent the various types of mental practice have differential effects on psychological change. To address this gap, we compare the effects of four common meditation practices on measures of state change in affect, mind-wandering, meta-cognition, and interoception. In the context of a 9-month mental training program called the ReSource Project, 229 mid-life adults (mean age 41) provided daily reports before and after meditation practice. Participants received training in the following three successive modules: the first module (presence) included breathing meditation and body scan, the second (affect) included loving-kindness meditation, and the third (perspective) included observing-thought meditation. Using multilevel modeling, we found that body scan led to the greatest state increase in interoceptive awareness and the greatest decrease in thought content, loving-kindness meditation led to the greatest increase in feelings of warmth and positive thoughts about others, and observing-thought meditation led to the greatest increase in meta-cognitive awareness. All practices, including breathing meditation, increased positivity of affect, energy, and present focus and decreased thought distraction. Complementary network analysis of intervariate relationships revealed distinct phenomenological clusters of psychological change congruent with the content of each practice. These findings together suggest that although different meditation practices may have common beneficial effects, each practice can also be characterized by a distinct short-term psychological fingerprint, the latter having important implications for the use of meditative practices in different intervention contexts and with different populations. Human life is one of constant change. We revel in our increases in physical and mental capacities during development, but regret their decreases during aging. The aging process involves a systematic progressive decline in every system in the body, the brain included. This includes our mental abilities which decline with age including impairments in memory, attention, and problem solving ability. It is inevitable and cannot be avoided. There is some hope for age related cognitive decline, however, as there is evidence that it can be slowed. There are some indications that physical and mental exercise can reduce the rate of cognitive decline and lower the chances of dementia. For example, contemplative practices such as meditation, yoga, and tai chi or qigong have all been shown to be beneficial in slowing or delaying physical and mental decline with aging. Indeed, mindfulness practices have been shown to improve cognitive processes. We spend a tremendous amount of time with our minds wandering and not on the task or the environment at hand. We daydream, plan for the future, review the past, ruminate on our failures, exalt in our successes. In fact, we spend almost half of our waking hours off task with our mind wandering. Mindfulness is the antithesis of mind wandering. When we’re mindful, we’re paying attention to what is occurring in the present moment. In fact, the more mindful we are the less the mind wanders and mindfulness training reduces mind wandering. You’d think that if we spend so much time with the mind wandering it must be enjoyable. But, in fact research has shown that when our mind is wandering we are actually unhappier than when we are paying attention to what is at hand. or see summary below, Fountain-Zaragoza and colleagues recruited 60-74-year old participants and measured mindfulness, mind wandering, inhibitory and sustained attention, proactive attention, reactive attention and working memory. They found that in these elderly participants the higher the levels of mindfulness the lower the levels of task-unrelated thoughts and task-related interference and the higher the levels of reactive attention. That is high mindfulness was associated with less mind wandering and greater attention in reaction to the environment. It was also found that mindfulness appeared to affect proactive attention by way of mind wandering particularly in participants with low levels of working memory. These results suggest that in older adults, mindfulness helps to control mind wandering, but when the mind wanders mindfulness appears to be able to elicit proactive attentional mechanisms. That is to work ahead of time to insure, that attention is focused on the task at hand in spite of the tendency for the mind to wander. In other words, mindfulness appears to keep the individual attending appropriately by reducing mind wandering and by working ahead of time to counteract the effects of mind wandering. So, improve attention by reducing mind wandering with mindfulness. Fountain-Zaragoza S, Londerée A, Whitmoyer P, Prakash RS. Dispositional mindfulness and the wandering mind: Implications for attentional control in older adults. Conscious Cogn. 2016 Aug;44:193-204. doi: 10.1016/j.concog.2016.08.003. Mindfulnessand task-unrelated thought are negatively associated in older adults. Mindfulness is differentially related to types of attentional control. No association was found between mind-wandering and cognitive performance. Task-unrelated thought mediates mindfulness-proactive control associations. Age-related cognitive decline brings decreases in functional status. Dispositional mindfulness, the tendency towards present-moment attention, is hypothesized to correspond with enhanced attention, whereas mind-wandering may be detrimental to cognition. The relationships among mindfulness, task-related and task-unrelated thought, and attentional control performance on Go/No-Go and Continuous Performance tasks were examined in older adults. Dispositional mindfulness was negatively associated with task-unrelated thought and was positively associated with reactive control, but not proactive control or Go/No-Go performance. Although mind-wandering was not directly associated with performance, task-unrelated thought mediated the mindfulness-proactive control relation. Fewer task-unrelated thoughts were associated with lower proactive control. Interestingly, this effect was moderated by working memory such that it was present for those with low-average, but not high, working memory. This study highlights the importance of dispositional mindfulness and mind-wandering propensity in accounting for individual differences in attentional control in older adults, providing important targets for future cognitive remediation interventions. We spend a tremendous amount of our time with our minds wandering and not on the task or the environment at hand. We daydream, plan for the future, review the past, ruminate on our failures, exalt in our successes. In fact, we spend almost half of our waking hours off task with our mind wandering. You’d think that if we spend so much time doing this it must be enjoyable. But, in fact research has shown that when our mind is wandering we are actually unhappier than when we are paying attention to what is at hand. A system of the brain known as the Default Mode Network (DMN) becomes active during wind wandering and relatively quiet during focused on task behavior. It is involved when we are engaged in internally focused tasks such as recalling deeply personal memories, daydreaming, sleeping, imagining the future and trying to take the perspective of others. The DMN involves neural structures including the medial prefrontal cortex, anterior and posterior cingulate cortices, precuneus, inferior parietal cortex, and lateral temporal cortex. These areas of the DMN are functionally connected, such that they are simultaneously active during mind wandering. Meditation is known to reduce the size and activity of the Default Mode Network (DMN) through a process known as neuroplasticity where the size and connectivity of neural structures are modified by experience. In addition, meditation appears to decrease the functional connectivity of these structures. The research underlying these conclusions, however, suffer from a flaw in that meditation is compared to rest or to non-meditators. It is possible that any active mental task could also have the same effects on the DMN. There is thus a need to investigate the differences between the effects of meditation and other active mental activities on the activity of the DMN. Garrison and colleagues recruited experienced meditators and non-meditators and scanned their brains (functional Magnetic Imaging, fMRI) while they either followed meditation instructions or an active mental task, making decisions as to whether adjectives applied to the self or to case. As expected the meditators reported less mind wandering during meditation. Importantly, they found that the meditators had significantly lower activity in the Default Mode Network (DMN) than the controls during the meditations but not during the active task. These findings are important in that they demonstrate that the reduction in the DMN activity is not due to just any active mental task but specifically to meditation. The results also replicate the finding that meditation lowers mind wandering and the activity of the DMN. Hence meditation in particular appears to have the ability to reduce mind wandering, improving focus, by decreasing the activity of the brain system responsible for mind wandering. So, reduce brain induced mind wandering with meditation. Meditation has been associated with relatively reduced activity in the default mode network, a brain network implicated in self-related thinking and mind wandering. However, previous imaging studies have typically compared meditation to rest despite other studies reporting differences in brain activation patterns between meditators and controls at rest. Moreover, rest is associated with a range of brain activation patterns across individuals that has only recently begun to be better characterized. Therefore, this study compared meditation to another active cognitive task, both to replicate findings that meditation is associated with relatively reduced default mode network activity, and to extend these findings by testing whether default mode activity was reduced during meditation beyond the typical reductions observed during effortful tasks. In addition, prior studies have used small groups, whereas the current study tested these hypotheses in a larger group. Results indicate that meditation is associated with reduced activations in the default mode network relative to an active task in meditators compared to controls. Regions of the default mode showing a group by task interaction include the posterior cingulate/precuneus and anterior cingulate cortex. These findings replicate and extend prior work indicating that suppression of default mode processing may represent a central neural process in long-term meditation, and suggest that meditation leads to relatively reduced default mode processing beyond that observed during another active cognitive task. Mindfulness is the ability to focus on what is transpiring in the present moment. It involves a greater emphasis on attention to the immediate stimulus environment. Mindful people generally have better attentional abilities and have fewer intrusive thoughts and less mind wandering. As a result, mindfulness has been shown to be associated with differences in thought processes. A system of the brain known as the Default Mode Network (DMN) becomes active during mind wandering and relatively quiet during focused on task behavior. It is involved when we are engaged in internally focused tasks such as recalling deeply personal memories, daydreaming, sleeping, imagining the future and trying to take the perspective of others. The DMN involves neural structures including the medial prefrontal cortex, anterior and posterior cingulate cortices, precuneus, inferior parietal cortex, and lateral temporal cortex. These areas of the DMN are functionally connected, such that they are simultaneously active during mind wandering. Mindfulness training has been shown to alter the size and activity of neural structures including reducing the size and activity in the Default Mode Network (DMN) as a result of neuroplasticity. The DMN, however, is a network of interconnected structures which are, in turn, connected to a number of other neural structures. This interconnectivity reflects the ability of these structures to affect other structures in the brain, in other words, the effects of mind wandering on other brain systems. Hence, it is important to investigate the effects of mindfulness training on the functional connectivity of the structures of the Default Mode Network (DMN) and the neural structures connected to these structures. Berkovich-Ohana and colleagues performed functional Magnetic Resonance Imaging (fMRI) of the brains of experienced meditators in comparison to similar individuals who did not meditate while at rest and during meditation. They found that at rest the functional connectivity within the structures of the DMN and within the neural structures associated with vision were lower in meditators and that this functional connectivity decreased during meditation. They also found that the meditators had greater functional connectivity between the DMN and the visual system structures than the non-meditators and this also decreased during meditation. In addition, they found that the greater the experience with meditation the lower the functional connectivity between the DMN and other neural structures. These findings suggest that meditation lowers the ability of the structures associated with mind wandering to affect other structures in the nervous system. 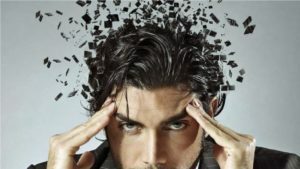 They also suggest that meditation practice produces less internal connectivity within these structures underlying mind wandering. Finally, these findings suggest that visualizations dissociated from the focus of attention may be higher in the meditators. This may indicate that when meditators’ minds wander they contain more vivid visual imagery. These data are interesting and demonstrate that meditation alters the internal connectivity of the structures that produce mind wandering and their ability to affect other neural structures. Hence, the functional connectivity of brain structures reflects the experiences of meditators of reduced mind wandering. Meditation appears to change the brain to produce less mind wandering. So, reduce mind wandering produced by the brain with mindfulness. FMRI data described here was recorded during resting-state in Mindfulness Meditators (MM) and control participants (see “Task-induced activity and resting-state fluctuations undergo similar alterations in visual and DMN areas of long-term meditators” Berkovich-Ohana et al. (2016)  for details). MM participants were also scanned during meditation. Analyses focused on functional connectivity within and between the default mode network (DMN) and visual network (Vis). Here we show data demonstrating that: 1) Functional connectivity within the DMN and the Visual networks were higher in the control group than in the meditators; 2) Data show an increase for the functional connectivity between the DMN and the Visual networks in the meditators compared to controls; 3) Data demonstrate that functional connectivity both within and between networks reduces during meditation, compared to the resting-state; and 4) A significant negative correlation was found between DMN functional connectivity and meditation expertise. We spend a tremendous amount of time with our minds wandering and not on the task or the environment at hand. We daydream, plan for the future, review the past, ruminate on our failures, exalt in our successes. In fact, we spend almost half of our waking hours off task with our mind wandering. Mindfulness is the antithesis of mind wandering. When we’re mindful, we’re paying attention to what is occurring in the present moment. In fact, the more mindful we are the less the mind wanders and mindfulness training reduces mind wandering. You’d think that if we spend so much time with the mind wandering it must be enjoyable. But, in fact research has shown that when our mind is wandering we are actually unhappier than when we are paying attention to what is at hand. There are times when mind wandering may be useful, especially in regard to planning and creative thinking. But, for the most part, it interferes with our concentration on the task at hand. People differ in the amount of time their mind wanders and, when the mind wanders, the difficulty they have disengaging from the off-task thoughts and returning to present moment attention. This is referred to as the stickiness of mind-wandering. Van Vugt and Broers investigate the relationship of this stickiness of mind-wandering to how well individuals do in performing a task that requires attention, a go, no-go decision task. On some of the trials the subjects, prior to task onset, were reminded of one of the things that were currently on their mind, as a means of evoking mind wandering. On other trials, no such reminders were present. Participants were asked what their mental state was during the trial and how difficult it was to disengage from the wandering thoughts and return to attention to the task, stickiness. They found that establishing a current concern prior to the trial did not increase mind wandering, but decreased the accuracy of performance. But, as expected, when the mind was wandering, it interfered with performance of the attention demanding task. They also found that the more difficulty that the participant had in disengaging from wandering thoughts, stickiness, the more mind wandering occurred and the lower the accuracy of response in the task. So, not only the amount of mind wandering, but also the stickiness of the mind wandering was detrimental to performance on a task that demands attention. These results are interesting and show that mind wandering and stickiness can be studied in the laboratory under controlled conditions. It remains to be seen if mindfulness training can improve this kind of task performance and reduce mind wandering and stickiness. It has been demonstrated that mindfulness improves attention and cognitive task performance. But, it is not known whether it can change stickiness. Regardless, it is clear that we must unstick a wandering mind for task performance. When asked to perform a certain task, we typically spend a decent amount of time thinking thoughts unrelated to that task–a phenomenon referred to as “mind-wandering.” It is thought that this mind-wandering is driven at least in part by our unfinished goals and concerns. Previous studies have shown that just after presenting a participant with their own concerns, their reports of task-unrelated thinking increased somewhat. However, effects of these concerns on task performance were somewhat inconsistent. In this study we take the opposite approach, and examine whether task performance depends on the self-reported thought content. Specifically, a particularly intriguing aspect of mind-wandering that has hitherto received little attention is the difficulty of disengaging from it, in other words, the “stickiness” of the thoughts. While presenting participants with their own concerns was not associated with clear effects on task performance, we showed that the reports of off-task thinking and variability of response times increased with the amount of self-reported stickiness of thoughts. This suggests that the stickiness of mind-wandering is a relevant variable, and participants are able to meaningfully report on it. There are two basic forms of meditation, focused meditation and open monitoring. For the beginner, most teachers employ the focused meditation strategy. This involves placing attention on a single object of meditation and holding it there. Focusing on the breath is the most common object for focused meditation. But, there are many others including single thoughts or mental objects, or even mantras. Although there has been research comparing focused to open monitoring meditation, there has been very little attention paid to different objects of focused meditation. The question has not been answered as to whether it is better to focus on the breath or some other mental object. The whole idea of focusing on an object is to eliminate wind wandering. So one way to compare the effectiveness of different objects for focused meditation is by comparing their relative abilities to prevent mind wandering or conversely to suppress thoughts. Ju and colleagues randomly assigned undergraduate students to a focused breathing condition or a focused mental object (blue sports car) condition. Students were instructed to focus on their respective object for 2 3-minute sessions and report each time their mind wandered. The students were then measured for thought intrusions during a thought suppression task. They found that the focused breathing condition produced significantly fewer mind wanderings and thought intrusions than the focused mental object condition. For the focused mental object condition, the higher the participants working memory capacity the fewer mind wanderings and thought intrusions. This was not true for the focused breathing condition. This suggests that focusing on a mental object requires mental resources and employs a ‘top down’ strategy while simply focusing on the breath does not. So, it appears that focusing on the breath requires less mental resources and is more successful in preventing mind wandering and thought intrusions than focusing on a mental object. This suggests that the ancient practice of focused breathing meditation became so popular for a reason. It is easier to do and it produces better results. It should be kept in mind, however, that the students were only asked to focus for 2 3-minute periods. It is possible that the superiority of focusing on the breathing may only be true for beginners over very brief periods. There is a need to repeat the study with experienced meditators and for longer periods of focus. Nevertheless, it has become common practice with open monitoring meditation to always begin a session with focusing on the breath and only later moving into open monitoring. The current results suggest that this may be very good practice, helping to get the meditator focused, with minimal mind wandering before moving on to open monitoring where it is more difficult to maintain focus and keep the mind from wandering. So, just breathe to better focus in meditation. We spend a tremendous amount of our time with our minds wandering and not on the task or the environment at hand. We daydream, plan for the future, review the past, ruminate on our failures, exalt in our successes. In fact we spend almost half of our waking hours off task with our mind wandering. You’d think that if we spend so much time doing this it must be enjoyable. But, in fact research has shown that when our mind is wandering we are actually unhappier than when we are paying attention to what is at hand. Simon and colleagues review the literature on the DMN and note that its malfunction is associated with psychiatric disorders and returns to normal upon successful treatment of the disorders. The DMN activity is also affected by meditation which has also been shown to produces improvements in psychiatric disorders. So there would appear to be a common thread here; DMN activity. They find that the DMN is abnormally active in a number of psychiatric disorders including schizophrenia, anxiety, depression, autism, attention deficit hyperactivity disorder, and Alzheimer’s disease. In addition, successful treatments of these disorders are associated with a return to normal activity in the DMN. For example when a schizophrenic patient responds favorably to antipsychotic medication, DMN activity is normalized. Meditation training is devoted to improving present moment awareness and decreasing mind wandering. As a result meditation training reduces the activity of the DMN. In addition, meditation has been shown to be beneficial for the treatment of schizophrenia, depression, anxiety disorders, attention deficit hyperactivity disorder, addictions, alcoholism, and mild cognitive impairments. As a result of these findings Simon and colleagues conclude that the state of the DMN may be an excellent indicator of the psychiatric health of the individual and it can also be an indicator of therapeutic improvement. In addition, it is a metric of the effectiveness of meditation for the treatment of disease. Hence, it is postulated that the DMN may be the common thread linking, psychiatric disorders, to therapeutic effectiveness, and to mindfulness training. If this is true it could lead to more effective diagnosis and treatment of mental illnesses with meditation. Needless to say the Default Mode Network (DMN) may be much more important than just the seat of mind wandering. It may be a crucial for mental health. So, reset the default mode network with meditation and improve psychiatric health. Mindfulness is the ability to focus on what is transpiring in the present moment. It involves a greater emphasis on attention to the immediate stimulus environment. Mindful people generally have better attentional abilities and have fewer intrusive thoughts and less mind wandering. As a result mindfulness has been shown to be associated with differences in thought processes (see http://contemplative-studies.org/wp/index.php/category/research-news/cognition/). Most of the time these differences are associated with beneficial results, but sometimes they can lead to negative outcomes including a greater tendency to have false memories (see http://contemplative-studies.org/wp/index.php/2015/10/15/meditation-is-not-always-a-good-thing/). Given the differences in thinking and attention the question arises as to the effect of mindfulness on creativity. Does it make the individual more creative or does it interfere with the creative process? Zedelius and colleagues investigate the relationship between mindfulness and creativity. They measured mindfulness and then tested creativity with a Compound Remote Associations test. In this test the participant is asked to discover a word that connects three other words. For example the individual is given “ache, hunter, cabbage.” An appropriate response might be “head” which links the words ‘head ache’, ‘head hunter’, and ‘head of cabbage.’ This solution can be arrived at by carefully analyzing the words and recalling words that are associated with each one to find a common associate, or it can be solved with insight where the solution just suddenly appears. After a solution was found the participants were asked to identify which of these strategies they used or a combination of both. Zedelius and colleagues found that when the problem was solved by insight, mindfulness was associated with poorer performance. On the other hand when it was solved analytically mindfulness was associated with better performance. In other words, mindfulness improved analytic thinking but interfered with insightful thinking. These results make sense if it is considered that analytical thinking requires focused attention which is what is promoted by mindfulness. On the other hand, insightful thinking, thinking outside of the box, often involves allowing the mind to wander in different directions bringing in new and different possible solutions. Since mindfulness is associated with less mind wandering, it seems logical that it would interfere with the process of insight. So, mindfulness is not a uniformly good thing. Although we usually think of mind wandering and being off task as a bad thing to be inhibited, that mind wandering, in fact, may be the source of insightful creativity. Our schools focus on analytical thinking and many are adopting mindfulness training into their curriculum to improve attention and school performance. But, as desirable as this may be, it may come at the cost of lowering creative insights. Perhaps, there is a need to train the student to be mindful when appropriate but to let the mind wander at other times to promote creativity. So, practice mindfulness but realize that it may make you less insightful.